ONLINE EXCLUSIVE! The Smok X Priv Baby is small and compact - but vapers can still enjoy a large, high definition screen and a fire button that stretches almost the length of the mod. This is a good choice for vapers who want reasonable power and an attractive design wrapped up in a smaller build mod that fits neatly in the hand or pocket. The Priv Baby comes with a 2 inch, colour high definition screen, which is attractive to look at and easy to read. You can also use the 6 colour modes display to customise the look and feel to your preferences. The fire button stretches the length of the device, meaning it’s extremely easy to press and can be fired up using a whole hand grip rather than just a finger or thumb. The Smok Priv Baby is a compact device, and in contrast to the larger Smok Priv comes with an internal battery rather than two external batteries. 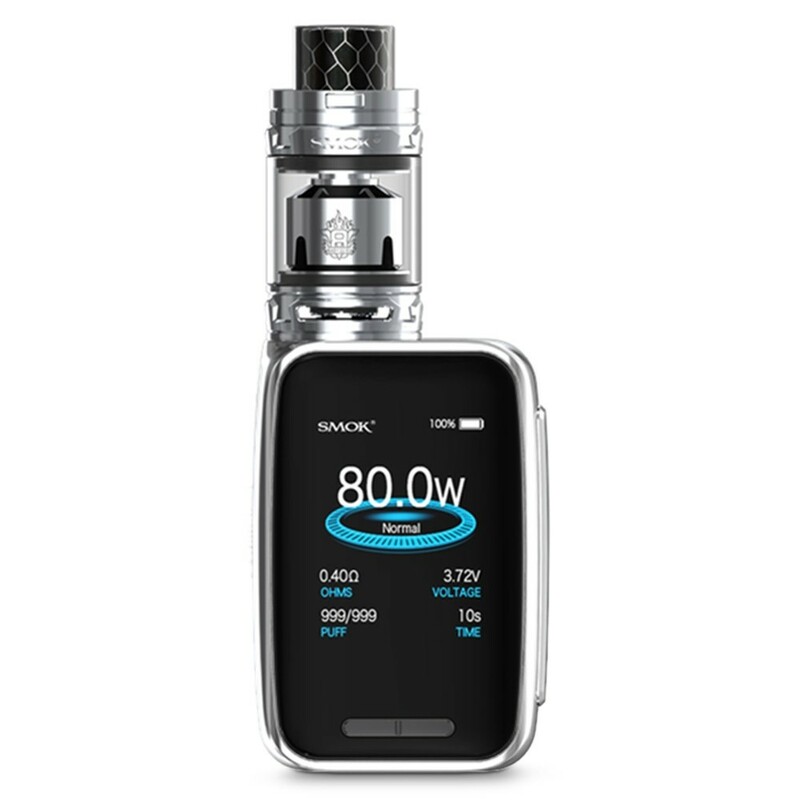 Coming with 2300 mAh capacity, the Smok Priv can output up to 80 watts. 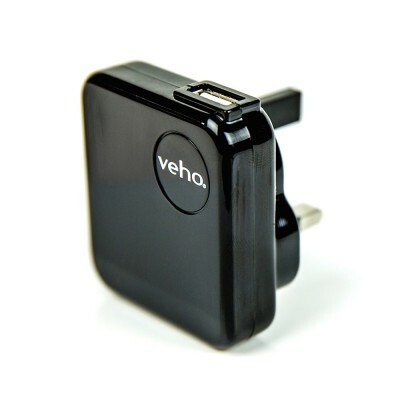 When used with a low resistance coil, expect several hours of usage before needing to recharge. 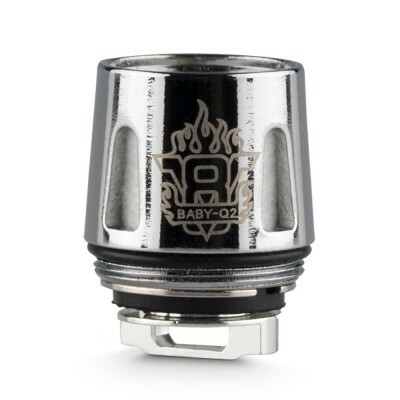 Coming with a 2ml capacity, the TVF8 offers easy top fill and great wicking (meaning it easily absorbs the e-liquid). 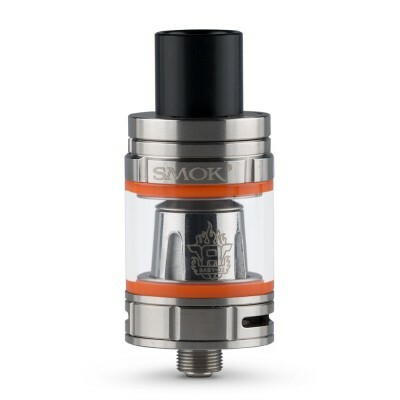 Combined with the large surface area of the coil, this means the tank is great for vapour production. 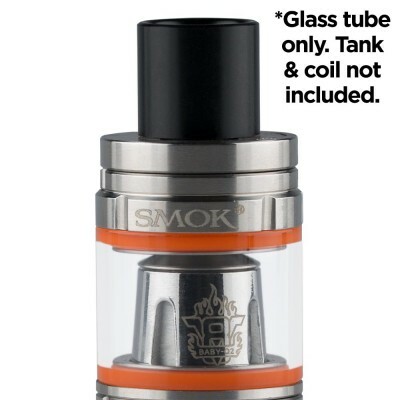 The tank comes with a pre-installed 0.4ohm coil, which is about right for the maximum 80 watt output - for a lower resistance coil you’d be better of with a larger and more powerful mod.